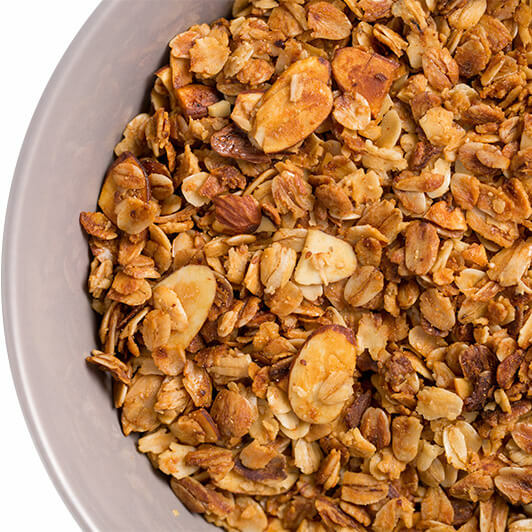 Vanilla Almond has sliced almonds - they are a little lighter than the halves in our Nutty blend, but the flavor is all there. The subtle hint of vanilla is a perfect complement to the almonds. The subtle hint of vanilla is a perfect complement to the almonds.